Dr Batra’s Positive Health Clinic, world’s largest chain of homeopathic clinics, launched their first ever Signature Clinic in Al Wasl, Dubai. The clinic was officially inaugurated amidst great fanfare by Her Highness Sheikha Majd Saud Al-Qassimi in the presence of Dr. Mukesh Batra, Dr. Akshay Batra, dignitaries and eminent members of the society. Dr. Batra’s® Signature Clinic is specially designed by Dr. Mukesh Batra himself to provide the best in service, unmatched experience and superior treatments to all its members. 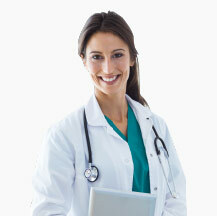 The clinic will house doctors with over 10 years of experience in homeopathic treatment. Enhancing patient care and offering VIP treatment, the signature clinic is equipped with a luxe lounge which is inclusive of a royal butler service, music lounge and a doctor home visit service. These are only some of the bespoke services which are on offer to the patients registered at this Signature Clinic.